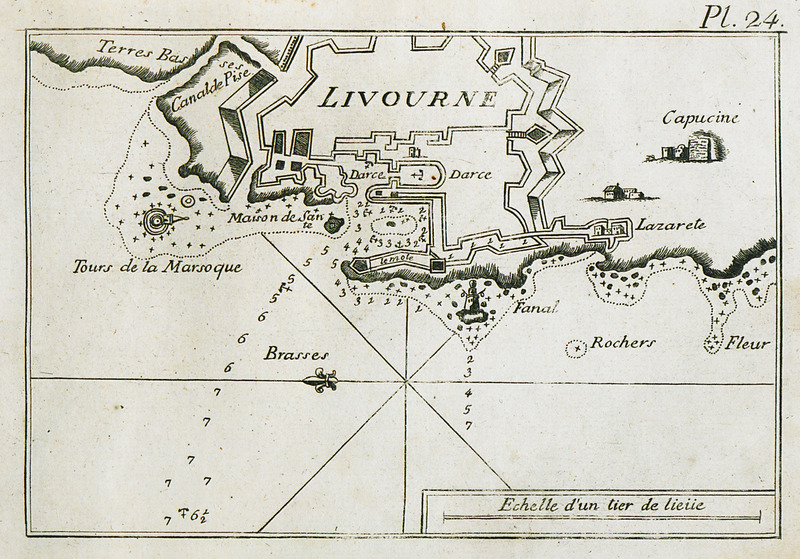 Map of the port of Livorno. View of the city's castle. View of the port of Livorno, Italy. 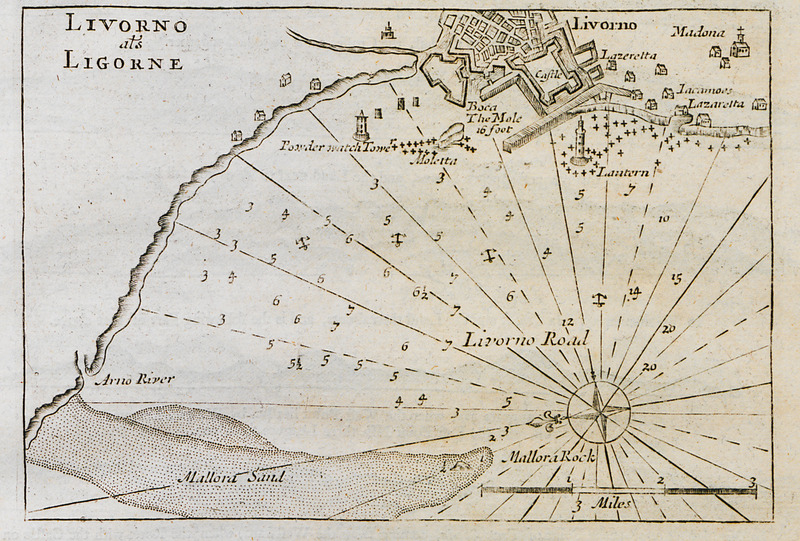 Nautical chart of the port of Livorno.